Tensions are bubbling over at Newcastle with the Magpies failing to make a single signing in the last fortnight of the transfer window. Manu Riviere, Grant Hanley and Siem de Jong have all left the club, but Rafa Benitez was not given enough funds to reinvest in his squad. The Spaniard has made his frustrations known over the last few weeks, warning his project is not expected to be a long-term one at St James’ Park. 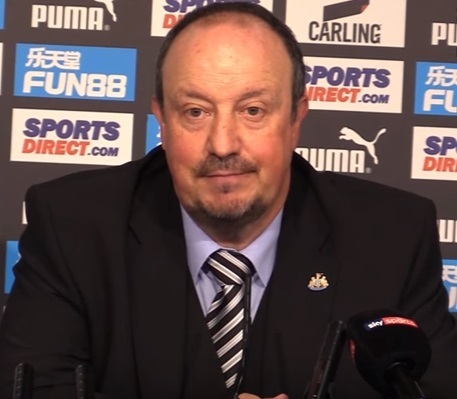 According to the Guardian, Benitez has now completely lost faith in owner Mike Ashley’s regime and is ready to listen to other job offers as and when they become available. That may well be the case very soon, as it’s claimed he has made himself available for the West Ham job should it become vacant. Slaven Bilic is under increasing pressure with his side rock bottom of the Premier League having failed to secure a single point from their opening three games. It was only in the second half of last season that the Hammers pulled away from a relegation scrap. For the east Londoners to secure the former Liverpool and Valencia manager, they could have to pay a release clause of up to £6million.